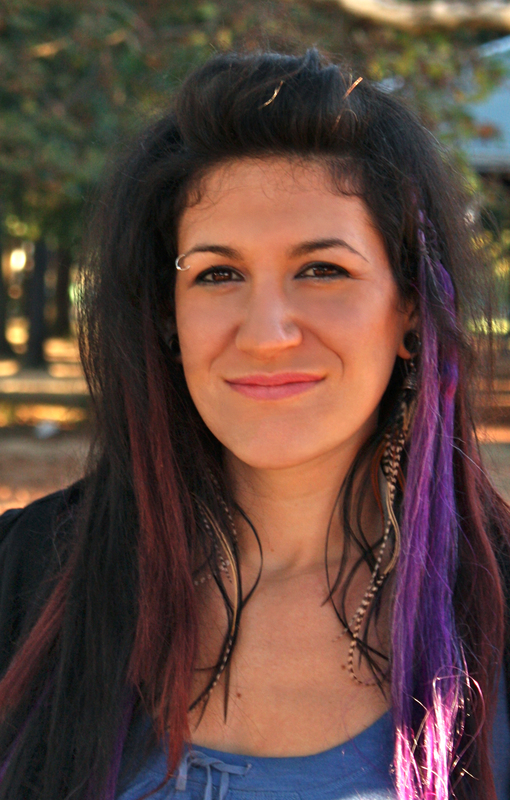 I am so excited to present this interview with my friend and fellow forager Rebecca Lerner. This last Spring Rebecca published her first book called Dandelion Hunter. 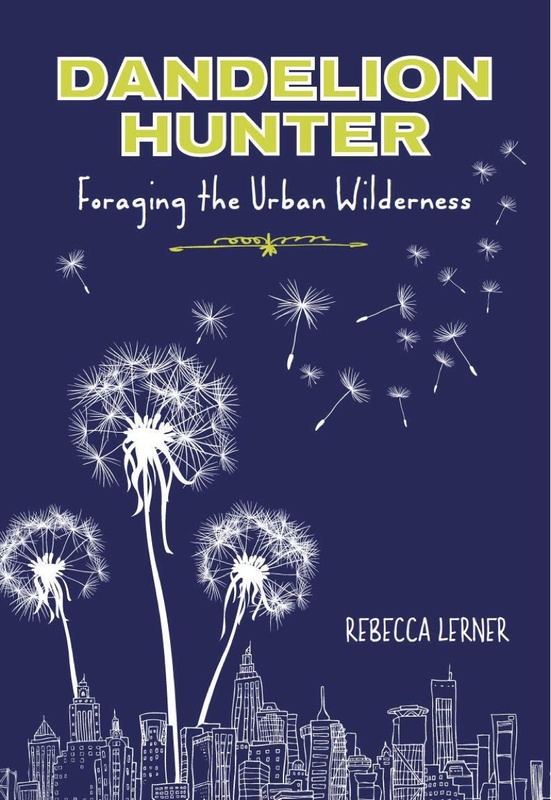 Lerner’s publishing debut recounts her adventurous forays about the life of an urban forager. The story will take readers first hand into the challenges and successes of connecting into our urban wilderness through the eyes of a modern gatherer. Rebecca Lerner has perfected her excellent and personal writing style that engages with humor and raw honesty. I laughed out loud countless times and through her experiences I know how humbled she is about the natural world and our wondrous world of plants. What inspired you to write a book about foraging? I wanted to write an entertaining true story that would be inspiring and provocative, and that would make use of my skills as a journalist at the same time, and my experience over the past five years as a forager had plenty of good material. Because of my urban foraging blog, I was actually getting book offers from publishers before I even had any intention to write one. It happened that I was in an MFA program for creative nonfiction writing at the time, too, so it seemed that the Universe was conspiring to make this happen. I knew that there were foraging cookbooks out there, and plenty of field guides, and a memoir or two, and I wanted to do something different, something colorful and philosophical that could, hopefully, change ideas about our place in nature for the better. Dandelion Hunter covers a wide range of information from ethical harvesting, exploding slugs, to the archaeological record. What do you want your readers to take away from your book? I hope that Dandelion Hunter inspires readers to view plants as the key to a magical and fascinating multi-dimensional world with a tremendous history and an exciting future. I find that foraging has the power to catalyze a consciousness shift that inspires respect for plants, demonstrates nature’s utility and a way of enjoying that while being in balance with it, and even elevates nonhuman beings to the level of person. I hope it gives the world an even stronger reason to protect the wilderness and expand it, and to clean up our cities. A large percentage of your audience may be experienced foragers themselves – will Dandelion Hunter cater to those people? This book has something for everyone. Beginning foragers and herbalists will learn a ton from the botanical info woven through this book, and more experienced plant folks will enjoy the stories, the characters, the research, and the interesting perspectives on display. I asked the expert foragers Sam Thayer and Fergus Drennan to check it out, and they both loved it, as did herbalist Matthew Wood. Fergus actually suggested that it can be read as a feminist perspective on survivalism, which is a really cool idea. Readers may be concerned about urban pollution. How do you address this? Urban pollution is a legitimate concern, and one of the reasons I love teaching folks about urban foraging is because it shows us the abundance we could have access to if we took better care of our land. I think the more of us urban wildcrafters there are, the stronger an argument we can make for banning lawn chemicals and pesticides and remediating the soil. 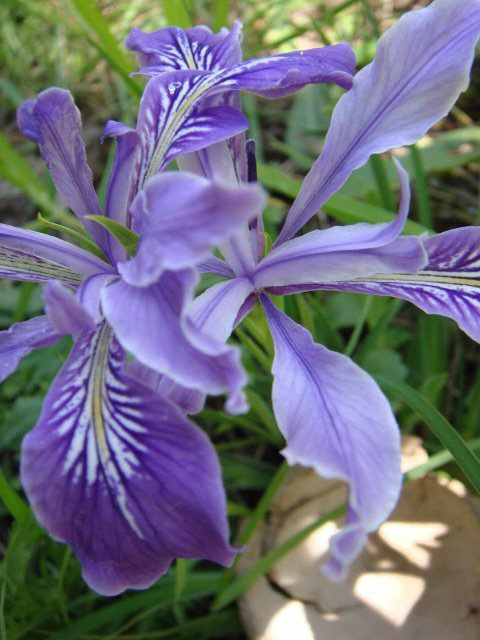 In the meantime, I’ve learned through looking at urban agriculture research that the reproductive parts of plants — the fruit and nuts — tend to be safest from contaminants, and that the biggest risk comes from touching the soil more so than from what plants absorb from it, at least in terms of heavy metals. Do you advocate that everyone harvest wild food and medicine? I think wild harvesting is a really special way to get in touch nature, and especially with the primal part of ourselves that feels a strong spiritual connection to Earth. I find it to be a tremendously healing experience, and I hope everyone gets to feel that. Here is where sustainability concerns inevitably pop up. Most of us, myself included, don’t have the time to forage our diets full time, and it would be a stress on our land if everyone attempted to do that all at once, but it would be great if we expanded the wilderness and brought more of it into our cities and towns so that more of us have access to wild crafting and wild harvesting our food, whether as a hobby or as sustenance. 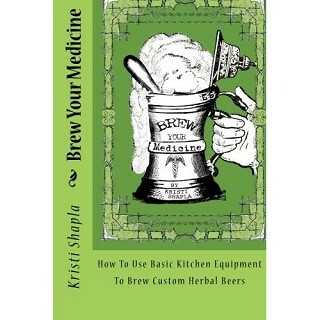 Brew Your Medicine – How To Use Basic Kitchen Equipment To Brew Custom Herbal Beers. Kristi has been an herbal beer brewing fairy as long as I have known her. Her constantly-working mind never rests with all of the fantastic ideas she comes up with that has to do with delicious herbal concoctions. I am lucky enough to be counted as one of her guinea pigs and I have never been let down! Brew Your Medicine is a 63 page guide to helping folks make their own herbal brews. There are chapters on Why Herbal Beer?, ingredients, and helpful instructions for 3 types of brewing. I love Kristi’s chapter on Custom Herbal Formulas. She begins by asking simple questions about the type of beer you want to brew such as, “What are your favorite herbs? and “How strong do you want your medicine?” Then we are given the example of her Nettles Spring Tonic Ale and how she breaks down the main herb, supporting herbs, assisting herbs, and conducting herbs. Wonderful information! Other exciting and surprising chapters include some of her amazing recipes, and ideas for making food from the dregs! Here is where to order her amazing book! Amazon.com and Poppyswap.com are great ways to help support Kristi. And they are only $12.95 each – order today (cue annoying guy in jumpsuit covered in money symbols)!